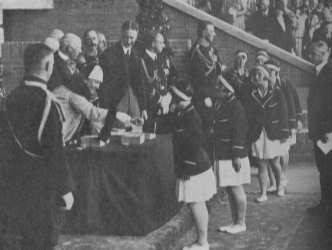 The medals presented on the occasion of the Olympic Games had to be divided into two classes, to wit, prize medals and souvenir medals. A prize was offered by the I.O.C. for the best design for the prize-medal and awarded to Prof. GIUSEPPE CASSIOLI. 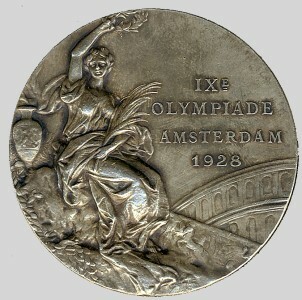 Medals bearing this design were struck at the Government Mint in Utrecht in gilded silver, silver, and bronze for the first, second and third prize winners respectively. 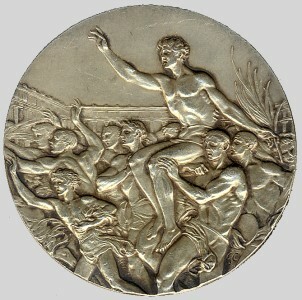 Of these medals 254 firsts in gilded silver were presented, 258 seconds in silver, and 259 thirds in bronze. The difference in these totals is due to the fact that in the Art Competitions a few firsts and seconds were withheld.